It has been two years since Laura has awoken from a coma but she is still haunted by the promise of the Sandman's revenge. To distract Laura from her heavy thoughts, Tim decides to take them to a ski resort. There, on the edge of the world, misfortune befalls Laura. In a fit of lunacy, Tim runs out of the house and falls off a cliff. He survives the fall but is now in a coma. It is not hard to guess that the fall off the cliff and coma was caused by the Sandman's doing. Laura has two choices now: watch her beloved slowly die in the hospital, or enlist in the help of an old friend who once helped her when she was in a coma. The Sandman continues to operate under his old schemes: by sending nightmares, he suppresses the will of the victim to resist. Can you help save Tim before the Sandman turns him into his heir? 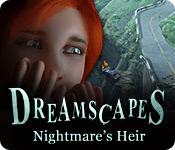 Dreamscapes: Nightmare's Heir is rated 3.5 out of 5 by 31. Rated 5 out of 5 by AdrianaIP from Love those beholders The beholders rock. They start as a blinking eye, and then you click on them, and you get some real nice insects (the yecchy kind) They alone are worth the price of admission. The storyline is OK. It is a collection of different episodes, each with its own set of room. No pointless back and forth. And the narration gives you enough clues as to what you need, so it is possible to get through it wihtout hints. The minigames are challengeing without being frustrating. The visuals are nice enough, without being spectacular. All in all, a good entertainment. Rated 5 out of 5 by SparkleGlow100 from EYEBALLS ON THE LOOSE! Laura’s husband is trapped in nightmares, by the Sandman. You must enter them to help him escape before it’s too late. You might be pleased (or not) to know that none of the scenes are disturbing or induce queasiness. Eyeballs are going to blink at you! I got about half of the 60 or so, that hide all over the place. But if you have an aversion to bugs, just so you know, they’re: winged or caterpillerish, or bug-like with many legs, or spidery, but they tend to stay pretty small, like an inch or so at the very most. Nice sound effects. Extremely good voice-acting (no lip-sync if that’s important to you). Really nice DETAILED graphics, with natural looking colors, and beautiful in places, like the mountain-side climber chapter, with paths dwindling into the distance over towering rocks, that stretch for miles. The rocks looked REAL. There’s a huge water cavern also with a nice underwater scene or two (a bit more cartoon-like), another chapter where you are as small as a mouse - so everything is big (fun!). Another chapter set in the character’s childhood home was nothing extraordinary, but it was still quite interesting because of all the detail in the garage. Some other quirky, fun scenes too. Over all, you visit mostly spacious environments, which I loved. A funny, cute, little raccoon/cat/gremlin pops up briefly from time to time, and communicates through body-language and vocal tones, to give you occasional encouragement. Nothing obtrusive. ***Not many HOPS, but around 10 (word-lists) and very few puzzles. You also get achievements even though it’s an SE. ***NO MAP. Inventory is lockable. You collect notes from a dream diary, which sort of serves as your journal. Hint button recharges quickly. Fills the whole screen. Seemed a little short, but maybe that was because I was enjoying it so much. Took around 4 hours to finish, I think. Good Daily Deal! Think I’ll check out Dreamscapes 1 as well. Rated 5 out of 5 by denniann2 from picked up where the sandman left off you have been called in solve this mystery since you solved the other one involving the sandman and laura. now tim is threatened and you need to save him. there isn't a map but a good hint system. there is a diary. a custom level, i think. the hints and skips are fast. i forget sometimes. the HO scenes are pretty clear and items can be found without too much trouble. you have to wake tim up by collecting tokens to put the clock back together. is this over now....i don't think so. Rated 5 out of 5 by Kimmycoo from I love this series This is the second in the Dreamscapes games. I buy them immediately because I know and trust that the artwork is awesome, I love finding the "Beholders" - little insect looking critters in every level. A left hand side bar will slide out on the screen and tell you how many you have to find in each level. I loved the scenes (beautiful) loved trying to get the achievements and missed a few, but still I loved the first game and I loved this one as well. The only negatives were that the voice overs would speak too fast a few times, like being in a hurry and that the ending was WAYYYYY too fast. As soon as I beat it, you got no ending story line, it just popped to credits. I also would like to have seen more puzzles. If a 3rd and 4th comes out, then great, Ill always buy these. I think this game deserves 5 stars. Rated 5 out of 5 by suzwuz from Great game! I'm not sure why some reviewers have given it such a low rating; each to their own, I suppose. I thought it was brilliant, and felt so sad when it ended. I bought the full game after the demo. It was very atmospheric, very interesting, and had great artwork! It was fairly challenging in some parts, but was mostly a nice game for when you don't want to tax your brain too much, like after a long, hard day at work. I suggest that folk at least give the demo a try! Rated 5 out of 5 by pennmom36 from The Sandman Wants To Retire It has been two years since you rescued Laura Young from the evil Sandman, he vowed to return one day, and today is that day! This time it is Laura's husband Tim who is in a coma, struggling to survive nightmare after nightmare until he no longer has the strength to fight. Laura escaped the Sandman's clutches with your help, as a result she has obtained the power to manipulate time and resist the powers of darkness, but she cannot use these powers to help Tim, leaving you no choice but to enter his nightmares and save him from the Sandman before it's too late. The Sandman has big plans for Tim, the Sandman is getting old and wants Tim to be his disciple, his successor! Laura will help you enter Tim's nightmares but once you're there, you are on your own in this strange world made entirely of nightmares! Beauty is in the eye of the beholder, prepare yourself for creepy crawlers and things that go bump in the night, because the BEHOLDERS have returned, 100 of them to be specific! Once you enter Tim's nightmarish realm, keep your eye (just one eye) out for the beholders, each scene has at least 3 beholders, the only thing you will see is a tiny blinking eyeball, when you click on the eyeball the beholder will emerge. The beholder can be a one eyed slithery snake, a one eyed eight legged spider or even a one eyed winged bat, there is a tab on the left of the screen that will indicate how many beholders are in your current location. This was by far the best feature in the original Dreamscapes: Sandman, and I'm so glad they are back because they are so incredibly fun to search for! (some of them are very well hidden) There are also Achievements available for some unusual accomplishments such as using the hint button to learn about objects, playing three chapters without using the hint button or saving Tim from his first nightmare. 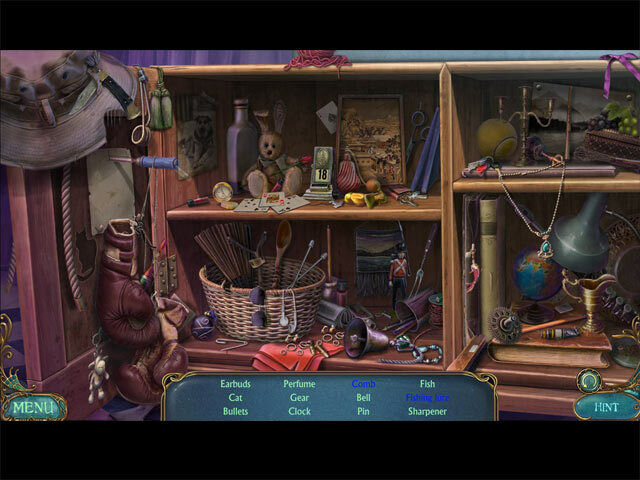 The first Dreamscapes game had no Hidden Object Scenes whatsoever, but they tweaked this edition to include HO's, with good old fashioned list finds, that have a couple of slightly interactive tasks such as moving an item to expose another item, personally I thought this was a great addition. There are only a handful of mini games that may require you to swap masks until they are in the correct slots, or pull levers in a specific order to raise several platforms to the up position but of course pulling one lever may affect what another levers action already accomplished. This game is mostly an adventure game, you will have several areas of interest in each location to find inventory items and apply those items to solve the task at hand, there's just no way this game can become boring because there's so much to do in each scene. I'm sure many players will be disappointed with the map feature, when you click on the compass, all available location directions will be shown, in other words, arrows will indicate all the different directions you can go to, not which way you should go. If you click the Hint icon, an arrow will appear in the direction you should be going, there are no transport/jump features. The inventory bar has no locking feature, but it's kinda cool that it opens up a closes like a hand held fan whenever you scroll your mouse over the inventory bar. The music was appropriate for the theme, and the graphics are decent, the characters are well drawn but at times the lip sync was off by a second or two. For me, this is a definite coupon redemption kind of game, enjoy! Rated 4 out of 5 by smilingsun72 from A solid sequeal that's rough around the edges! After reading the reviews I decided to give the game a try. I don't regret it. I found I liked it. The story is good though it could use some polishing. I felt some of the cut scenes were a bit rushed. For example, entering Tim's dream the first time was not very well thought out. It could have been much better. The puzzles were not that hard. The graphics were good like the first game. I was left wandering at the end if the Sandman was defeated or he still around. I can say if the developers make another game in this series they need to take their time and remember the how good the first game was! Rated 4 out of 5 by charlene_lane from LAURA TO THE RESCUE AGAIN TO HELP TIM Review of completed game. There is: * Voiceovers (with dialogue); * Regular, Advanced and Expert modes of play; * 10 Achievements; * Find 100 beholders; * Find parts for Tim's clock; and * Find pages for Tim's diary. The graphics are good with plenty of colour and crisp to the eye. Sound was good. There was just one piece of music which I turned down after a while because it was too repetitive. 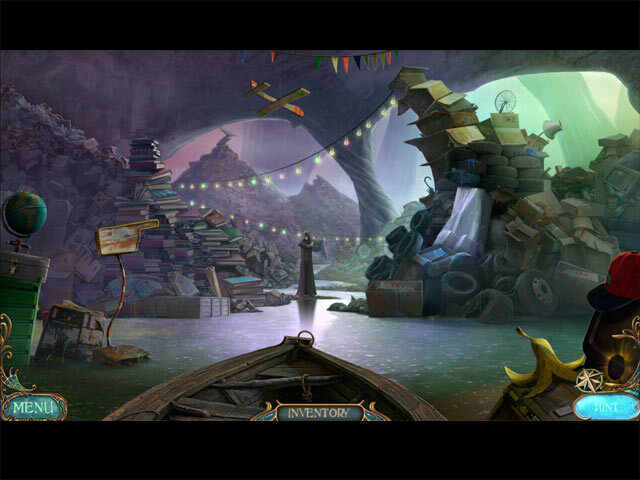 The hidden objects games are slightly interactive and very easy to play. Items are clear to find and don't take long to do. The mini-games are also very easy, however I enjoyed them. None of them were too frustrating or boring and you can get on with the game fairly quickly. 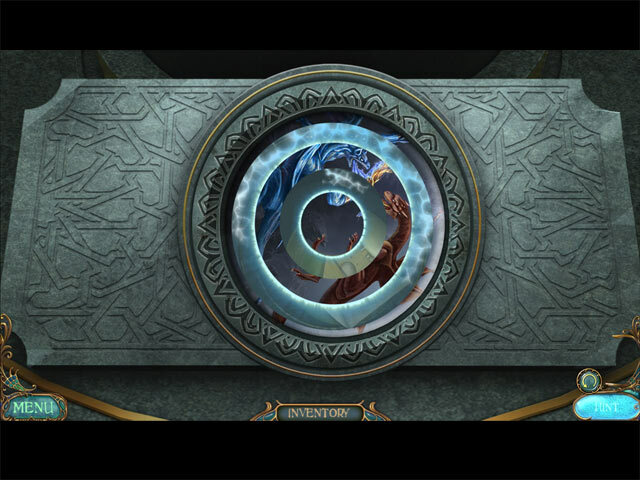 There are 100 beholders to find - mainly between 2 and 4 in each scene. Some of them are well hidden, so just keep an eye out for them. There is a caption that comes up with how many to find and then will let you know that you have found them all in each scene, so you don't have to keep looking for something that's not there. You will also be looking for pages from Tim's diary and parts to his clock throughout the game. All up the game took me about 5 hours to play. I wasn't playing fast and just doing a bit each night. Overall, I enjoyed the game. There is plenty to do and lots to find. Definitely comes recommended. Rated 4 out of 5 by Aqutalion from A fun game I found this to be a fun, enjoyable game. Not exactly groundbreaking, but worth playing. Graphics are nice, with some interesting scenes. The character animation was pretty good. The characters were cartoony style, rather than realistic, so those who insist on realistic characters probably won't like them. I prefer the cartoony ones, though, so they were just fine with me. I wasn't particularly impressed with the voiceovers. I thought they were rather awkward. But you can turn them off (thank you!). The gameplay is almost all adventure-type stuff. Find stuff, use it elsewhere. There are a few HOs, and an occasional easy puzzle. I would have preferred more puzzles. There are a bunch of collectibles to find, and some of them are tricky. The only thing I really didn't like was the music. The overly trembly violins and "AAAAaaaaaah" got on my nerves pretty fast. Overall, it was fun. The Sandman is back for revenge! This time his victim is Tim, Laura's husband. Will you succeed in pulling him out of this nightmare?